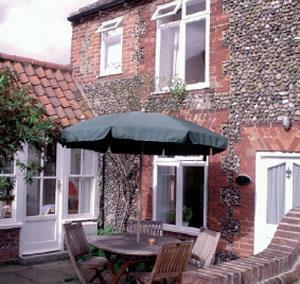 Charming brick and flint two bedroomed, end terrace, fisherman's cottage. Spacious south facing garden. Well equipped and comfortably furnished, one double, one twin. Situated off the picturesque East Quay with its creeks and marshes and a couple of minutes walk from the town and all its amenities. Open all year. Cannot be booked on-line please phone for availability Children welcome from age 1.